Space planning and design consultant for residential and commercial environments. 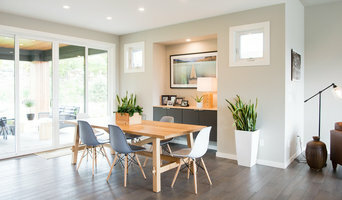 Shonna Fox Design is a Professional Interior Design Firm that brings Innovative, Unique and Leading Edge Design to your New Build, Renovation, or Interior Design improvements to your Living, Leisure and Working space. We offer comprehensive Design Services including Project management, Design specification, Renderings, Drawings, selection for all Design elements for Residential projects, Renovations, Office and Medical/Dental office Design, Space planning, Furniture planning and purchase, Lighting plans, Cabinetry plans, Upholstery and Window Treatments. A full service Interior Design company, specializing in residential design and renovations. Complete design services, in addition I can provide project planning, site supervision, interior design and lighting design. Color consultations to perhaps renew the old and give you a whole new home with some creative ideas. The success of the projects comes from a personal collaboration between owner, architect, and builder. I believe in listening to the clients needs and then applying my professional skills to achieve a personal result for the clients. We offer interior design quality artificial silk plants, artificial silk trees, artificial silk palms, artificial silk trailing vines, artificial silk flowering plants, custom made pvc boxwood hedges, panels and columns for indoor or outdoor use. From single room restyles to complete renovations, we provide creative design solutions from concept to completion. We offer professional design services and can guide you to your vision of the perfect space while maintaining a functional yet stylish environment. Everyone is unique and your space should reflect your lifestyle. We can help make the process easy with our knowledge, experience and the best craftsmen, contractors and manufacturers. Charlie Ford Vintage is an inspirational online retailer for people seeking unique vintage and antique pieces that would be impossible to source in a conventional retail setting, all without the negotiating. Many consumers are searching for these items, but don’t know where or how to find them. This is where Charlie Ford Vintage steps in. CharlieFord.com is a stylish, accessible and value- packed retail platform, chock-full of antique and vintage items sourced to enhance any home with the simple click of a button. A family-run business, that includes Jillian Harris, Tori Wesszer and Alyssa Dennis, Charlie Ford Vintage was built on a love for old things with a story, and the people who seek them. Charlie Ford Vintage’s mission is to curate vintage pieces and bring them to consumers, so that when they enter their homes, they experience the same warm, inviting feeling the partners do in theirs. Their homes speak to them - so should yours. DESIGN PHILOSOPHY “A well-designed interior reflects the personalities and wishes of the people in it, as well as being functional.” Barbara Rhodes Barbara’s design philosophy can be defined by three categories– personality, functionality and originality. PERSONALITY First and foremost, Barbara creates personalized homes that show the unique voice of the inhabitants… telling their stories, not her own. She takes the time to get to know her clients, researching their needs to uncover what will be most fulfilling and stylish to them. Rooms are then designed and created around those most important dictates. Barbara’s spaces are highly customized to the needs of her clients through the creative use of space, light, unique materials and distinctive furnishings. She strives to capture expressive style, intelligence and feeling within all the spaces she designs. FUNCTIONALITY As a certified, professional Interior Designer, Barbara has a strong understanding of construction requirements and principals. She is skilled in drafting construction drawings as well as custom millwork and furniture design. She is an expert in space planning as well as lighting design, which she feels is next only in importance to the space plan of any project. ORIGINALITY Whether meeting her clients needs requires period design, minimalist modern decor or anything in between, her solutions are always elegant and timeless. Working with such a varied clientelle has resulted in totally unique interior design for each and every project Barbara has worked on. Interior Design is constantly changing and Barbara loves researching new and uncommon elements of design… it is her passion.